Famous and memorable movie quotes. "Frankly, my dear, I don't give a damn." - Rhett Butler, Gone with the Wind. "I'm gonna make him an offer he can't refuse." - Godfather. 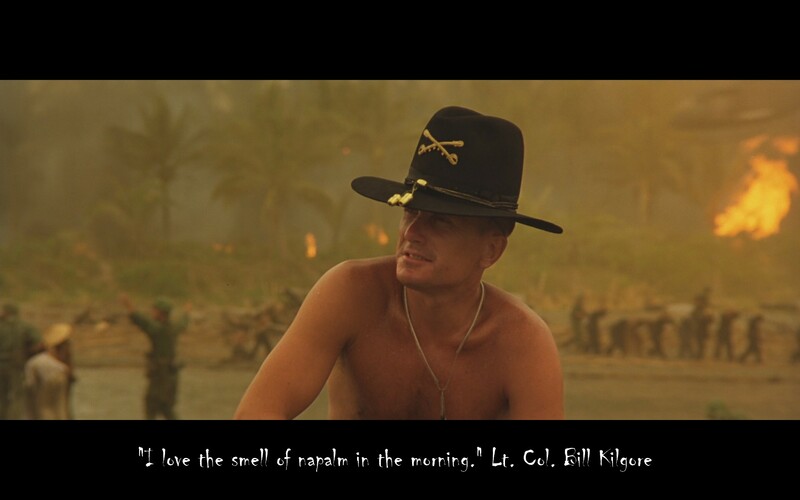 "I love the smell of napalm in the morning." - Lt. Col. Bill Kilgore, Apocalypse Now. "I'll be back." - Terminator. "Hasta la vista, baby." - Terminator 2. "May the Force be with you." 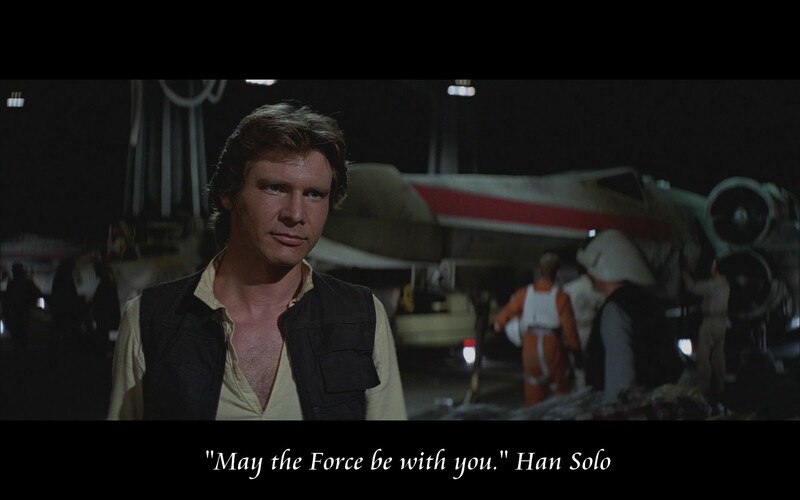 - Han Solo, Star Wars. "Do. Or do not. There is no try." 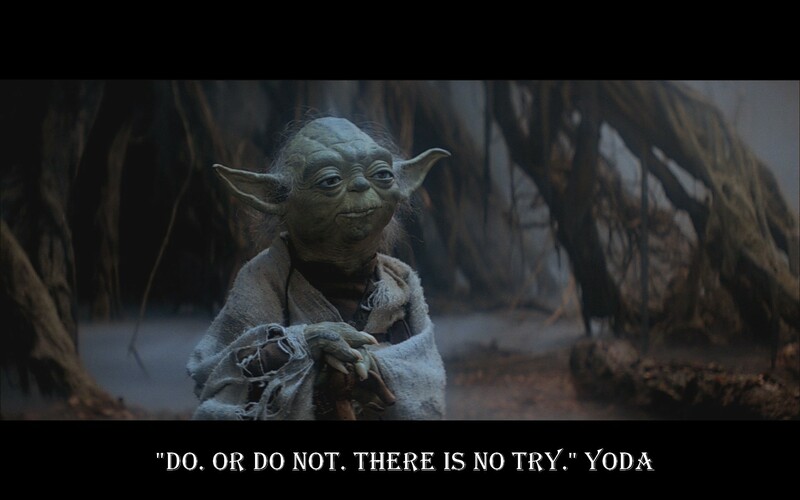 - Yoda, Star Wars. "My momma always said, life was like a box of chocolates. You never know what you're gonna get." - Forrest Gump. "I see dead people." 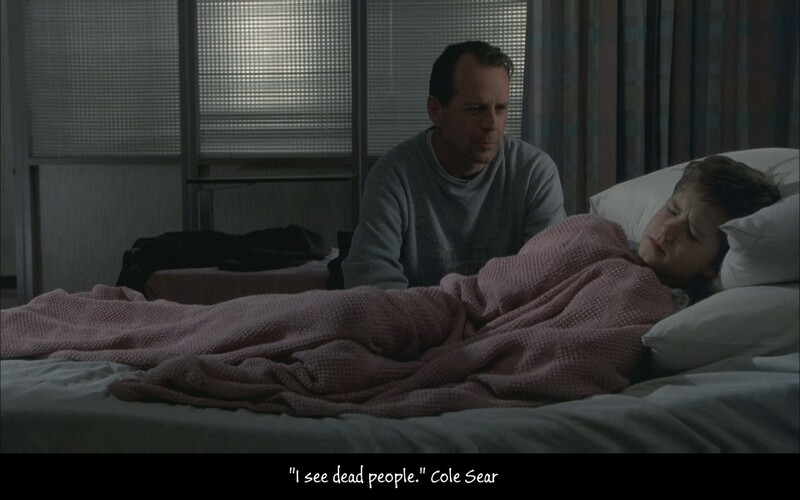 - Cole Sear, The Sixth Sense. "Houston, we have a problem." - Jim Lovell, Apollo 13. "Carpe diem. Seize the day, boys. Make your lives extraordinary." - John Keating, Dead Poets Society. "Surely you can't be serious. 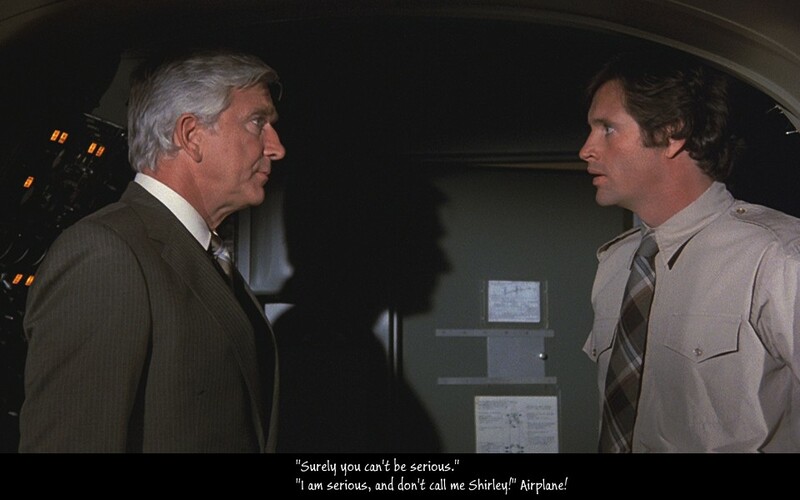 I am serious, and don't call me Shirley!" - Airplane! "Well, nobody's perfect." - Osgood Fielding III, Some Like It Hot. 1. "Frankly, my dear, I don't give a damn." 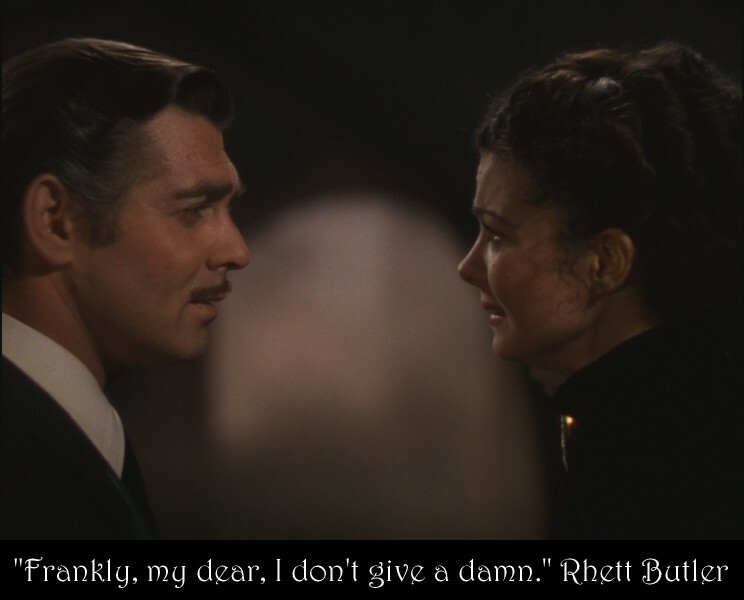 - Rhett Butler, Gone with the Wind. 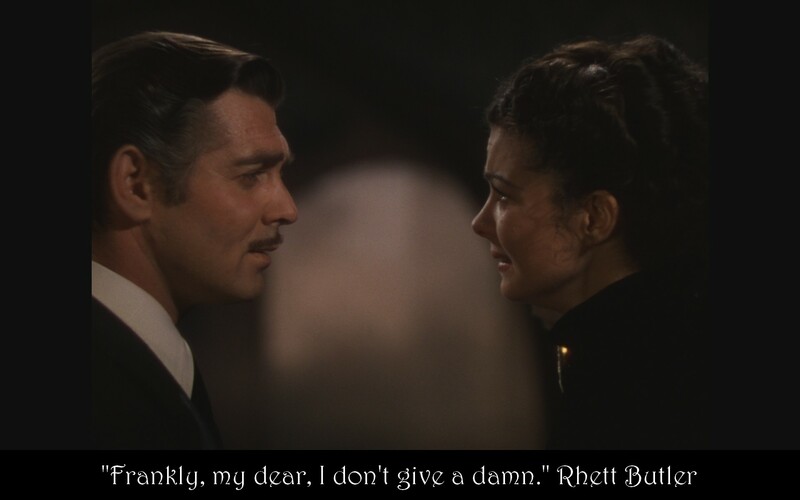 In the Gone with the Wind (1939) movie, Rhett Butler (Clark Gable) at the very end says to Scarlett O'Hara (Vivien Leigh) "Frankly, my dear, I don't give a damn." Oh, Rhett, Rhett, please don't say that. all the past can be corrected. have I known you to have a handkerchief. Rhett, Rhett, where are you going? Please, please take me with you. No. I'm through with everything here. No. I only know that I love you. If you go, where shall I go? 2. "I'm gonna make him an offer he can't refuse." - Godfather. 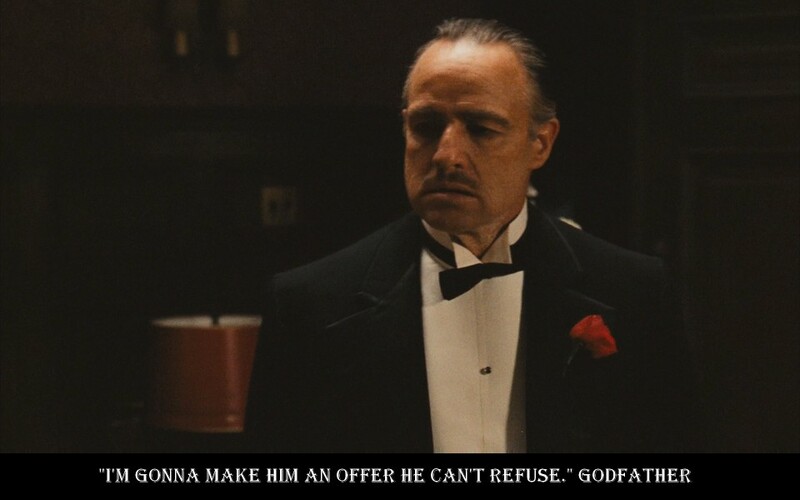 In The Godfather (1972) movie, directed by Francis Ford Coppola, Don Vito Corleone (played by Marlon Brando) says "I'm gonna make him an offer he can't refuse." You look terrible. Must to eat. I want you to rest a while. Too late, they start shooting in a week. 3. "I love the smell of napalm in the morning." - Lt. Col. Bill Kilgore, Apocalypse Now. 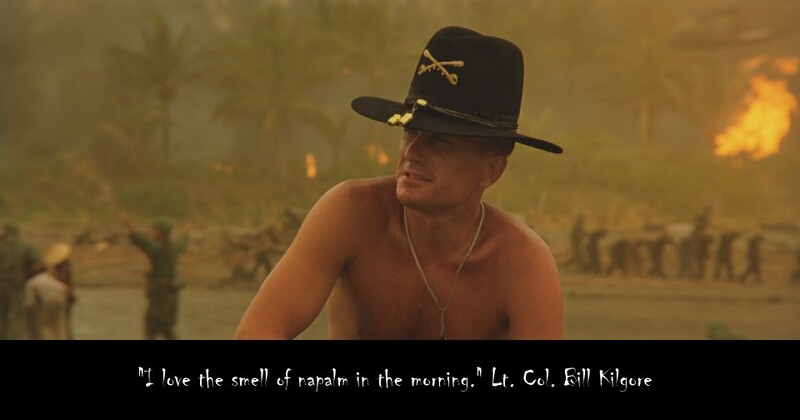 In the Apocalypse Now (1979) movie, directed by Francis Ford Coppola, Lieutenant Colonel Bill Kilgore played by Robert Duvall says "I love the smell of napalm in the morning." the world smells like that. not one stinking dink body. the whole hill smelled like - victory. 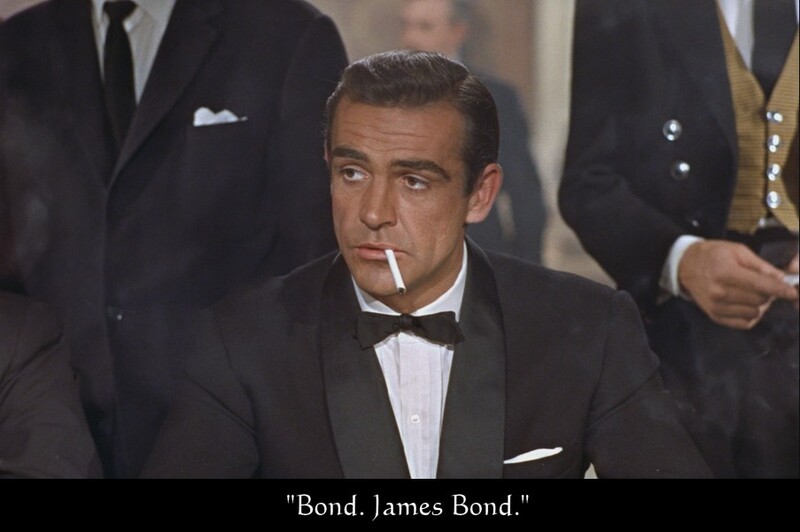 In the Dr. No (1962) movie, Sean Connery playing James Bond says "Bond. 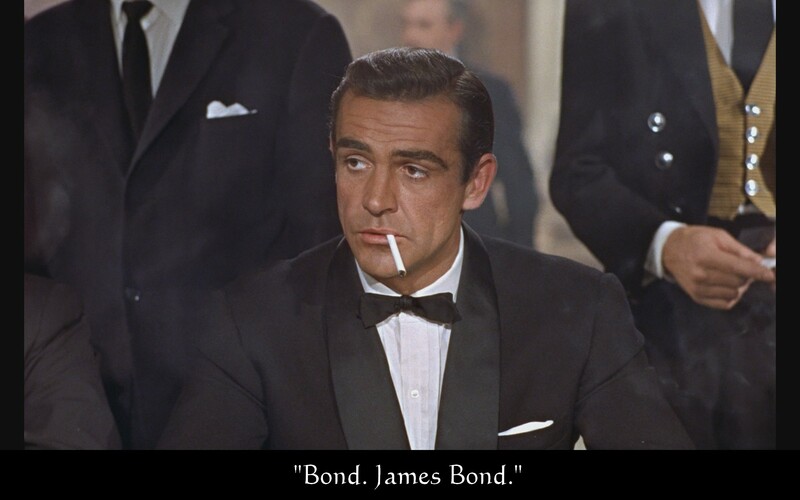 James Bond." I admire your courage, Miss ...? I admire your luck, Mr. ...? 5. "I'll be back." - Terminator. 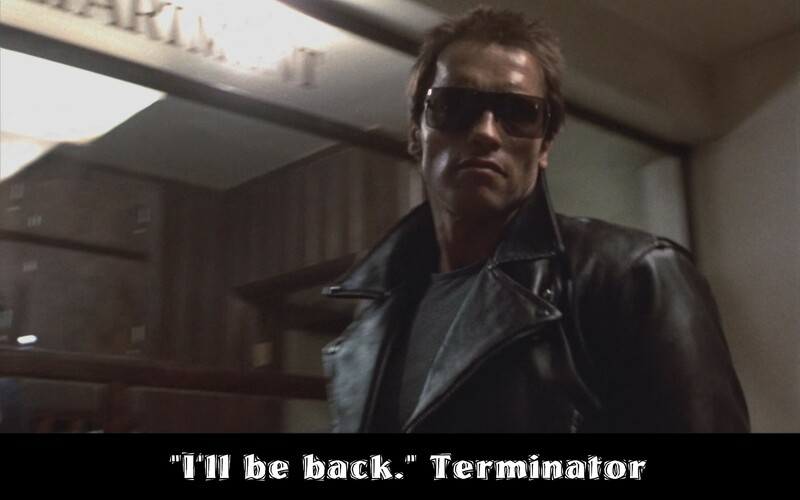 In The Terminator (1984) movie, directed by James Cameron, Arnold Schwarzenegger playing the Terminator (Cyberdyne Systems Model-101) says "I'll be back." Look. It make take a while. 6. 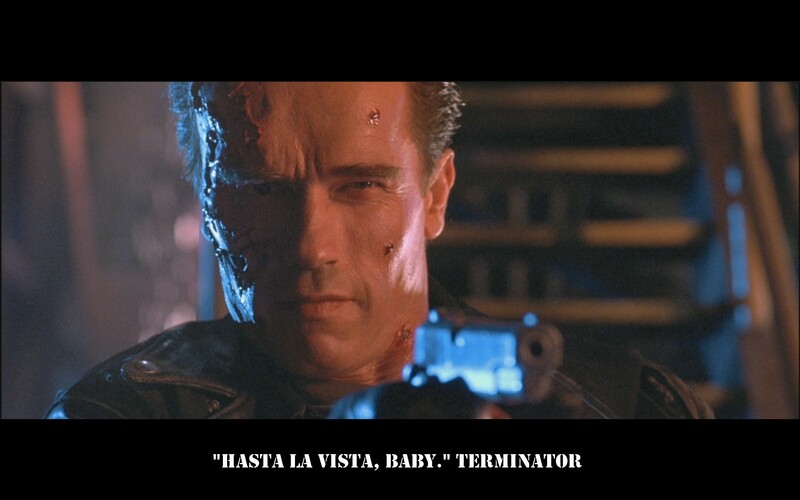 "Hasta la vista, baby." - Terminator 2. 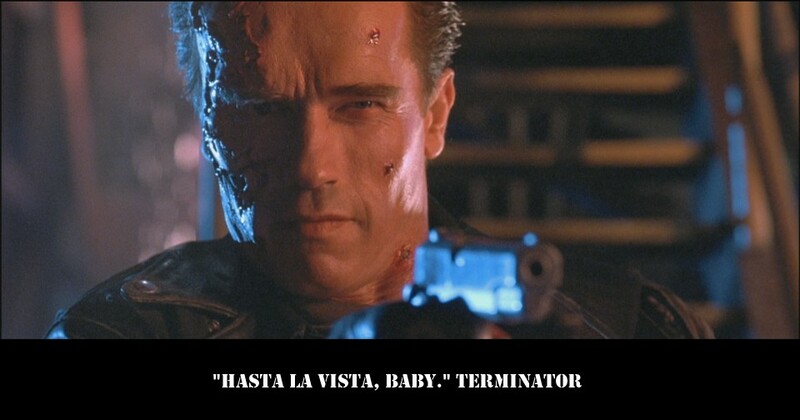 In the Terminator 2: Judgment Day (1991) movie, directed by James Cameron, Arnold Schwarzenegger playing the Terminator says "Hasta la vista, baby." 7. "May the Force be with you." 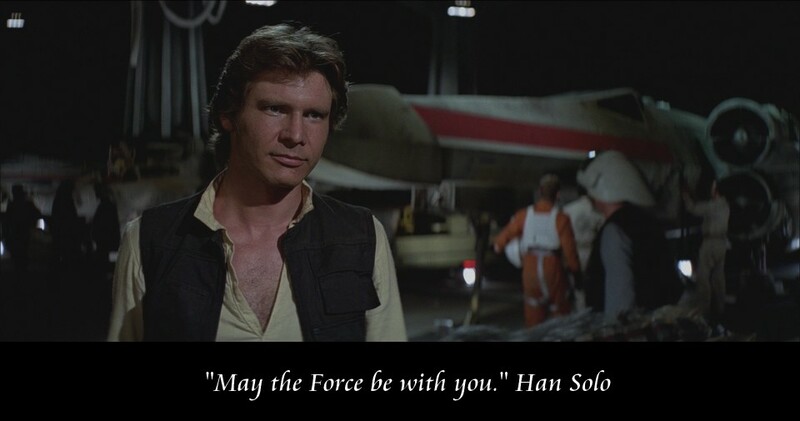 - Han Solo, Star Wars. In the Star Wars - Episode IV: A New Hope (1977) movie, directed by George Lucas, Han Solo (played by Harrison Ford) says to Luke Skywalker (played by Mark Hamill) before the battle station attack "May the Force be with you." 8. "Do. Or do not. There is no try." 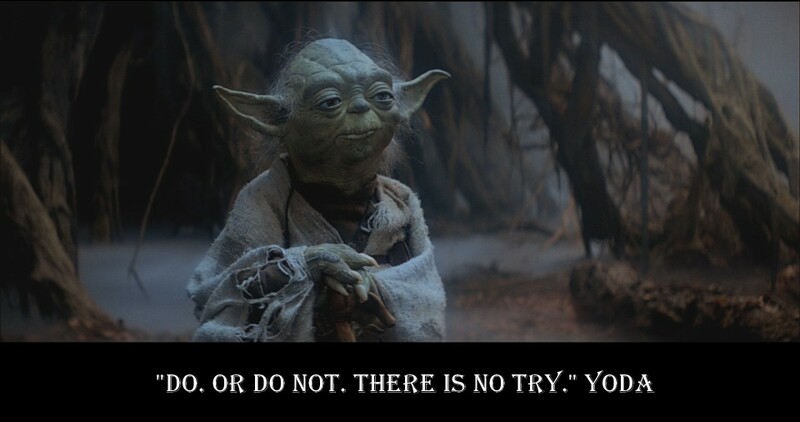 - Yoda, Star Wars. In the Star Wars - Episode V: The Empire Strikes Back (1980) movie, Jedi Master Yoda says to Luke Skywalker (played by Mark Hamill) "Do. Or do not. There is no try." Watch on YouTube. 9. 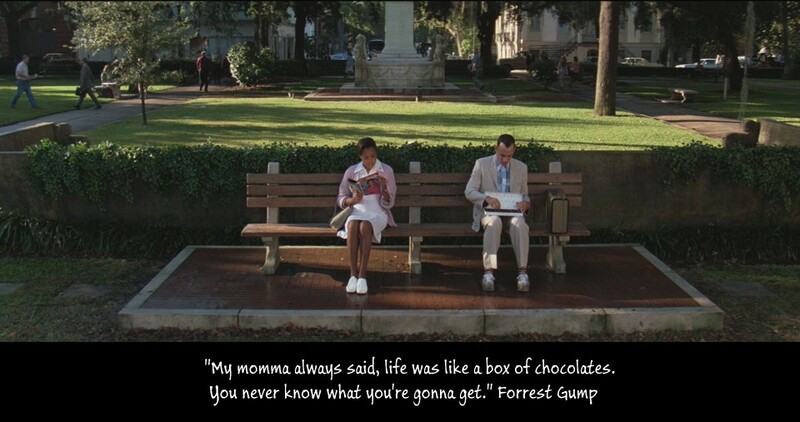 "My momma always said, life was like a box of chocolates. You never know what you're gonna get." - Forrest Gump. 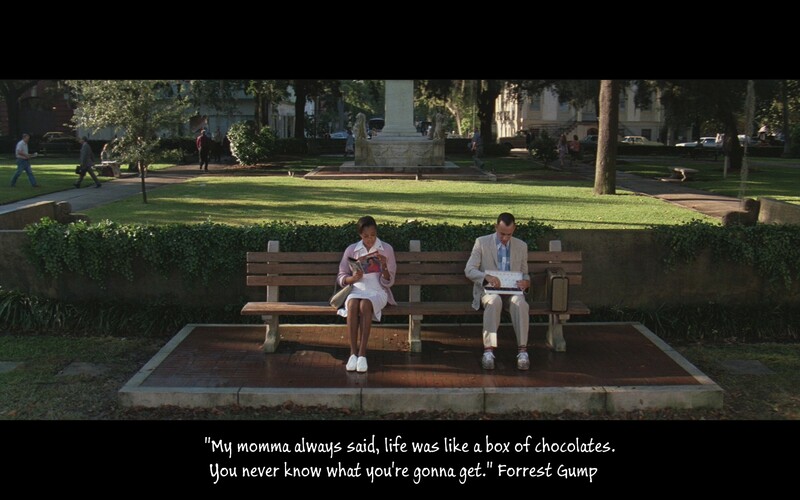 In the Forrest Gump (1994) movie, directed by Robert Zemeckis, Forrest Gump played by Tom Hanks says "My momma always said, life was like a box of chocolates. You never know what you're gonna get." Hello. My name's Forrest, Forrest Gump. 10. "I see dead people." - Cole Sear, The Sixth Sense. with children. He loved it. He loved it more than anything else. he made a mistake with one of them. stop thinking about it. Can't forget. that he used to be. boy, be like helping that other one too. 11. "Houston, we have a problem." 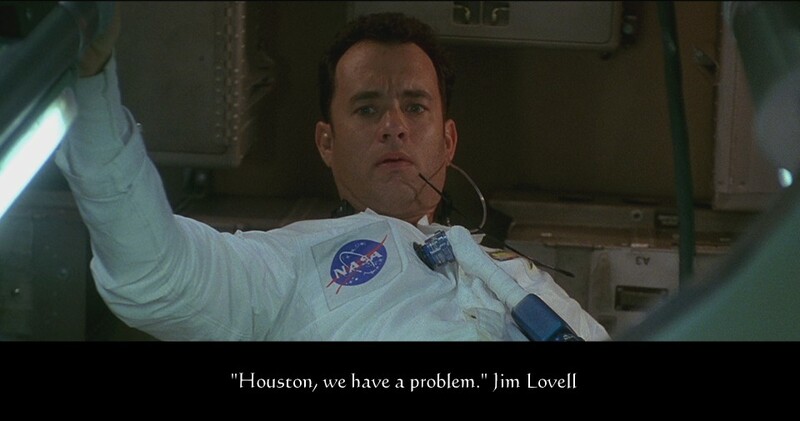 - Jim Lovell, Apollo 13. 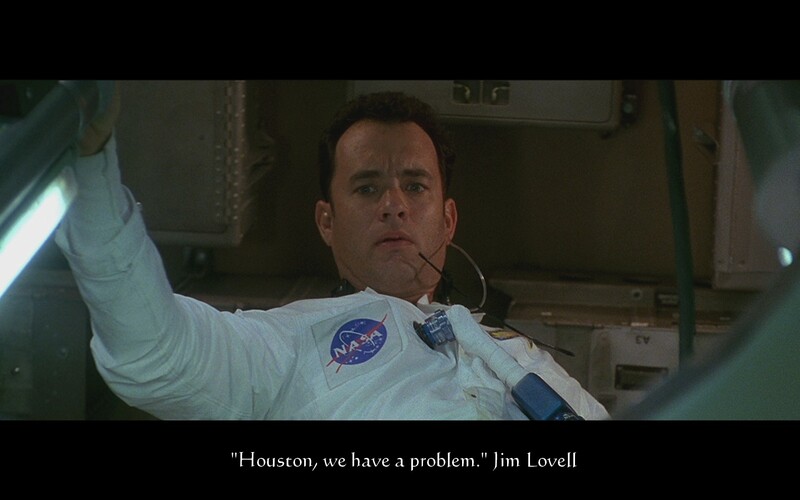 In the Apollo 13 (1995) movie, Jim Lovell played by Tom Hanks says "Houston, we have a problem." Hey, we've got a problem here. Nothing. I stirred the tanks. This is Houston. Play again, please. 12. "Carpe diem. Seize the day, boys. Make your lives extraordinary." - John Keating, Dead Poets Society. 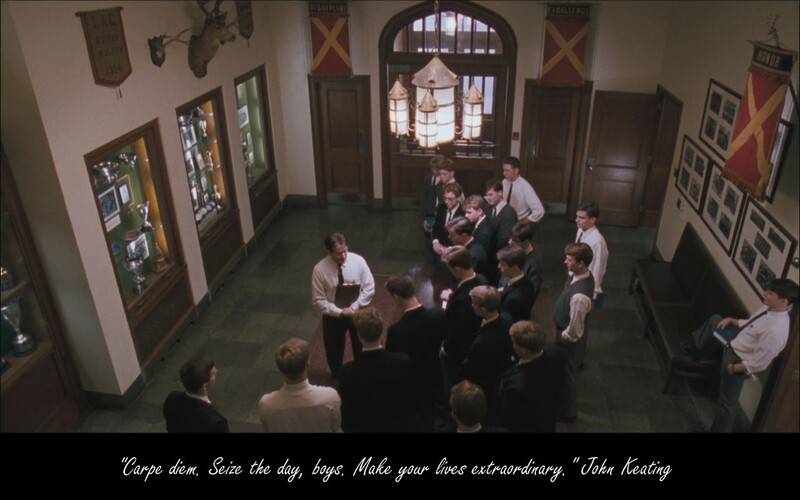 In the Dead Poets Society (1989) movie, John Keating played by Robin Williams says "Carpe diem. Seize the day, boys. Make your lives extraordinary." Mr. Pitts, where are you? "To the virgins, to make much of time"? Carpe Diem. That's "seize the day." day. Gather ye rosebuds while ye may. Why does the writer use these lines? Because he's in a hurry. breathing, turn cold, and die. 13. "Surely you can't be serious. I am serious, and don't call me Shirley!" - Airplane! In the Airplane! (1980) movie, Ted Striker (played by Robert Hays) says "Surely you can't be serious." and Dr. Rumack (played by Leslie Nielsen) answers "I am serious, and don't call me Shirley!" Can you fly this plane and land it? 14. "Well, nobody's perfect." 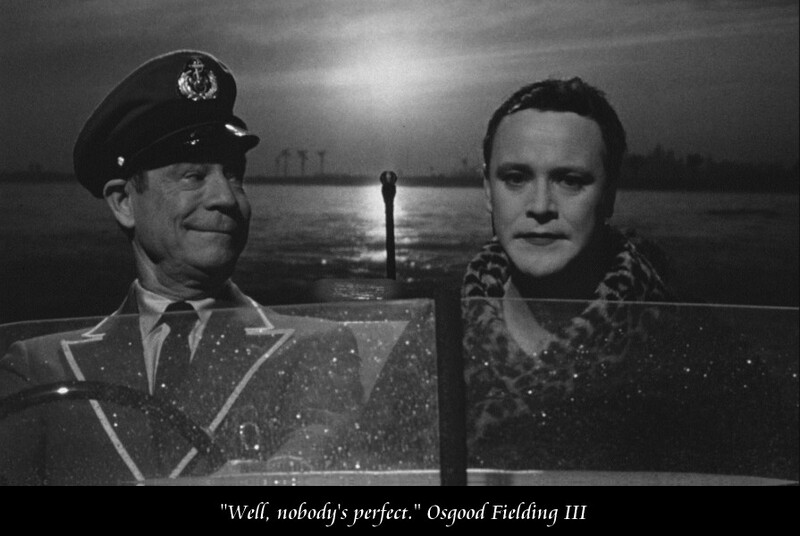 - Osgood Fielding III, Some Like It Hot. 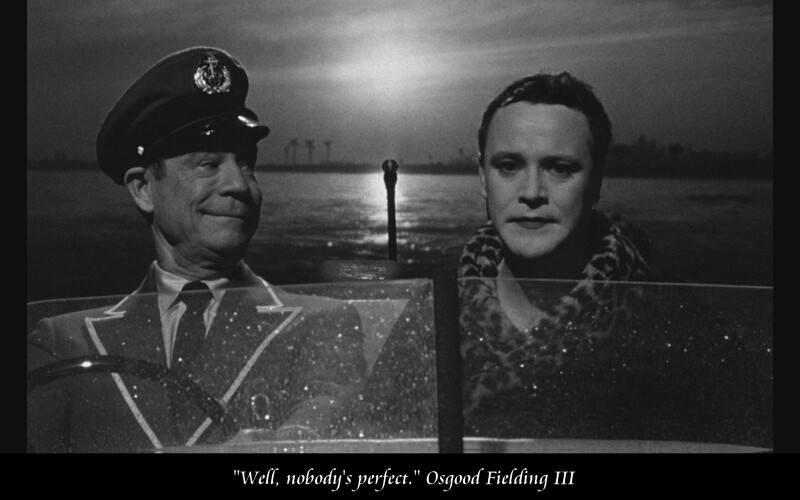 In the Some Like It Hot (1959) movie, directed by Billy Wilder, Osgood Fielding III (played by Joe E. Brown) says to Jerry (played by Jack Lemmon) "Well, nobody's perfect." I smoke. I smoke all the time. I can never have children. But you don't understand, Osgood!